Are you looking for an adventure? Do you need extra motivation to tone up and trim down? Or do you simply want to explore the hidden delights of New Zealand, at a leisurely pace? 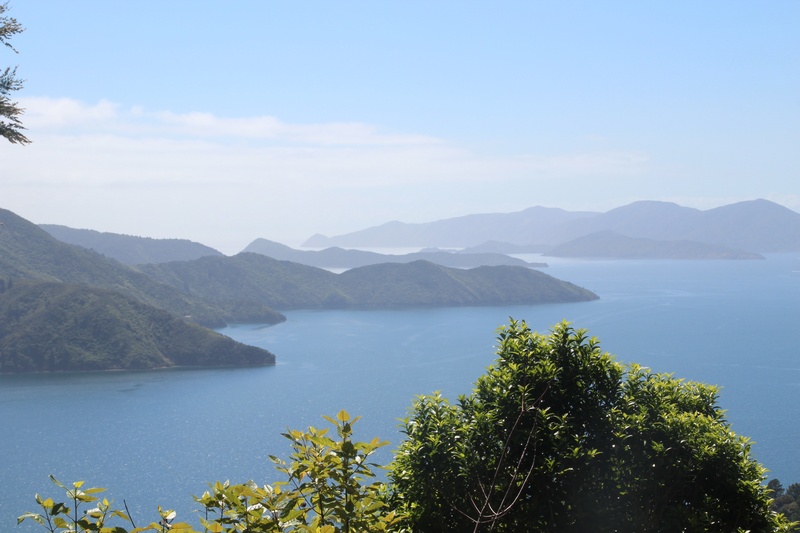 If you are one such person (and what an excellent person to be), then walking the Marlborough Sounds track is the holiday for you. Stunning vistas over the Marlborough Sounds from one of the many vantage points along the Queen Charlotte Track. The Queen Charlotte Track is a 71km walk in the Marlborough Sounds at the top end of the South Island of New Zealand. The track meanders around coves and inlets with many spots along the way offering truly beautiful panoramas. 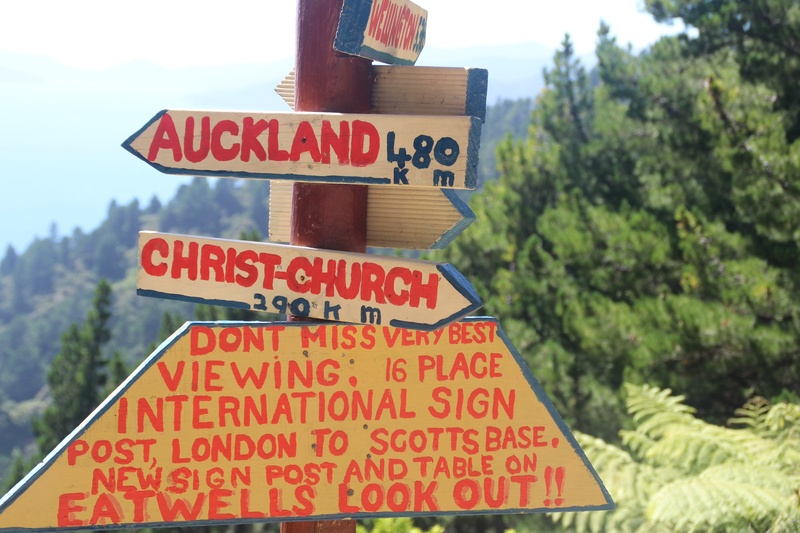 The views from the lookout points of the Queen Charlotte and Kenepuru Sounds are spectacular – on a clear day you can see Kapiti Island and the North Island. Less busy than the Milford or Routebourn Tracks, you may be as lucky as we were, only seeing two other couples and a pair of mountain bikers. But be prepared to be joined at every stop by the bold Weka, a flightless woodhen who will be hoping to share a snack with you. The track is not particularly steep, but as it is lengthy, some of the distances can be quite tiring. You may find the downhill traverse hard on your feet, so budgeting on a maximum of four-and-a-half to five hours of walking each day will ensure you enjoy your hiking experience. The terrain is hard and firm, being mainly clay soil, but can become slippery in the wet. Proper hiking boots are essential. As with any form of exercise, you will need to ensure that you are physically fit when you tackle the track. In your training regime you will need to include some strenuous walking while carrying a full pack. All the training you undertake should be done in the shoes you will be wearing on the track. It is always a good idea to wear two pairs of socks; a thin liner sock on the inside and woollen socks on the outside. The idea is that the liner sock rubs against the woollen sock, not your skin, reducing friction, hot spots and the likelihood of blisters. The closest international airport to Picton is Wellington.There are regular flights from most major Australian cities. The Interislander ferry from Wellington to Picton usually has six sailings every day, with the 92km trip taking three hours. You will need to transfer by water taxi to the start of the Queen Charlotte Track at Ship Cove. Cougar Line’s water taxis depart from Picton three times a day, and included in the cost of your ticket are free transfers for your packs between your accommodation on the track, so all that arduous training with a full pack can be avoided! If you choose to take this option, all you will need to carry with you in your daypack is your sunscreen, plenty of water, your camera, lunch and snacks for the day, as well as a light jacket in case of rain. If the idea of walking the whole track does not appeal, there are a number of options available. Some hikers choose to do a day-hike and only walk one section of the track, while others pick and choose to skip some sections of the track. There is a wide array of accommodation available along the track, from Department of Conservation (DOC) campsites through to 5-star resorts. Alternatively, you could choose to traverse the Queen Charlotte Track by mountain bike or see the Marlborough Sounds by kayak. We allowed ourselves 30 minutes to explore Ship Cove and the monument to Captain James Cook before heading off on the track. This first leg of our walk was not too strenuous as the track was mostly dry with only a very few muddy patches. The lovely clear day meant the views from the vantage points along the way were stunning. We passed through the private land of some holiday homes on our way to our first stopover in Endeavour Inlet, after walking for nearly four hours. Our accommodation was in a chalet at Furneaux Lodge, the largest resort on the track. Our room overlooked the inlet, could easily sleep seven in comfort and included a kitchenette for self-catering. We opted to dine in-house at Furneaux Lodge and enjoyed the seafood chowder, made with locally caught produce and complemented with one of the renowned Marlborough Sauvignon Blancs, and finished with a selection of local cheeses. Skipping the leg between Endeavour Inlet and Camp Bay cut 12 kms off our journey the next day. Cougar Lines collected us from the wharf at Furneaux Lodge and, after a quick six-minute ride across the water, deposited us at Camp Bay for the next leg of our journey. Again we enjoyed glorious views, but it took over eight hours to reach our second nights’ accommodation at The Portage. It was much more basic than the facilities we had enjoyed at Furneaux Lodge and not much cheaper. We dined that night at the Peppers Resort restaurant and enjoyed more of the fresh regional produce and wine of the Marlborough Sounds. Is this walk for you? We decided on the morning of day three not to finish the last steep 20 kms of the track, instead choosing to head back to Picton for an early ferry to Wellington. The Queen Charlotte Track is a stunning walk, but one to be undertaken only after plenty of preparation, for those of average to good fitness, prepared to attempt it at a leisurely pace.